Modi's ambitious rural electrification scheme will work if it breaks away from the traps of power theft, non-repayment and low electricity demand. Prime Minister Narendra Modi’s grand Saubhagya scheme has brought electricity to over 25 million homes in rural India, but low service quality continues to be a major problem. This is because serving rural households with low electricity demands is not profitable for power distribution companies. However, new research shows that rural households value and benefit from improved service quality. If state governments reduce load shedding and outages, they can expect growth in electricity demand and increase electricity prices to cover the cost of generation, transmission, and distribution. This virtuous cycle contributes to rural economic development and improves the power sector’s financial performance. Last year, the Council on Energy, Environment and Water (CEEW) and the Initiative for Sustainable Energy Policy (ISEP) conducted a large survey of energy access in six north Indian states. The study found that the quality of rural electricity service had improved, but remained far from satisfactory. With the exception of Jharkhand, the other states covered in the report – Bihar, Madhya Pradesh, Uttar Pradesh, Odisha, and West Bengal – now supply over ten hours of electricity per day on average. A study conducted by Smart Power India (SPI) and ISEP investigated rural energy demand across 10,000 households and 2,000 enterprises in four Indian states (Bihar, Uttar Pradesh, Odisha, and Rajasthan). This study found low demand for electric power. On average, household and enterprises in these states consume fewer than 40 units (kilowatt-hours) per month. At such low consumption levels, it is very difficult for distribution companies to recover their costs. The SPI-ISEP research also found evidence that quality of rural electricity service is a strong predictor of electricity demand. When compared to villages with fewer than 12 hours of daily hours of electricity access, households in villages with more than 18 daily hours were 4.7 times more likely to consume 100-250 units and 2.3 times more likely to consume over 250 units. Two recent ISEP studies have found that rural households are willing to pay higher electricity prices for good service. One ISEP study using 2017 data found that while overall willingness to pay for better service is quite low, it increases significantly when people trust the authorities to offer better services and other villagers to refrain from power theft. 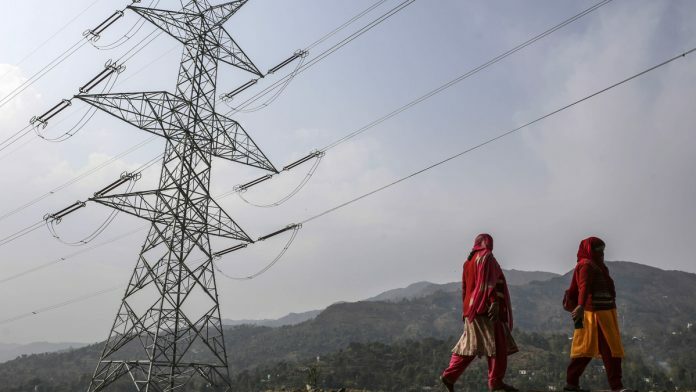 Another ISEP study using 2015 data found that households without electricity connections were willing to pay significantly more for a connection when their village benefited from reliable electricity access. This evidence suggests a way forward for India. First, the central and state governments should continue to improve the quality of service. Without this improvement, breaking free from the trap of power theft, non-payment, and low electricity demand will be very difficult. Second, state governments should reward rural communities for reducing power theft and non-payment. Both households and enterprises respond to better service quality by increasing their energy use and will thus value the benefits more than in the past. Following the examples of Maharashtra and Bihar, state governments can improve the performance of the power sector by allocating electricity to those communities that pay their bills. Finally, and perhaps most importantly, improved service quality makes gradual electricity price hikes and measures against theft legitimate. The real opportunity for India is to trigger a virtuous cycle of growing demand, less theft and rational electricity prices. Together with other development interventions, this strategy can empower and energise rural areas in India. The author is the Prince Sultan bin Abdulaziz Professor of Energy, Resources and Environment at the Johns Hopkins School of Advanced International Studies. He is also the Founding Director of the Initiative for Sustainable Energy Policy (ISEP).